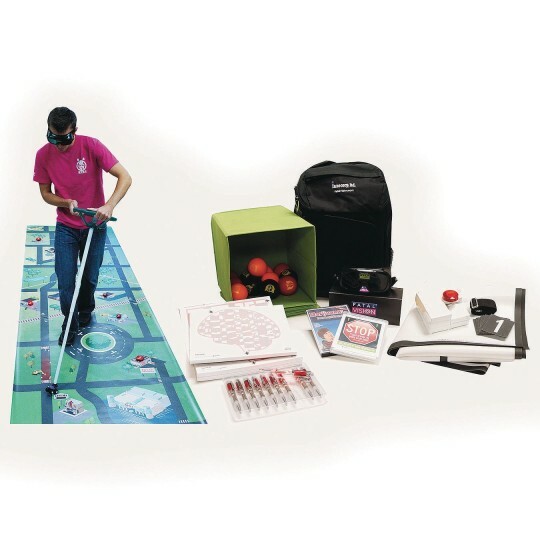 The Fatal Vision® Marijuana Event Kit is a complete package containing six activities and the required accessories to help you deliver a memorable experience about the potentially dangerous consequences of impairment resulting from recreational marijuana use. These engaging activities provide an experience of cognitive impairments associated with recreational marijuana use. Your program participants will experience the simulated effects of distorted processing of visual information and alteration of visual perception, slower decision making, and loss of short-term memory. This is a must have tool for organizations that support community or youth programs. Inform your community about the potential dangers of recreational marijuana use by using the Event Kit to engage your audience about this growing health and safety concern.